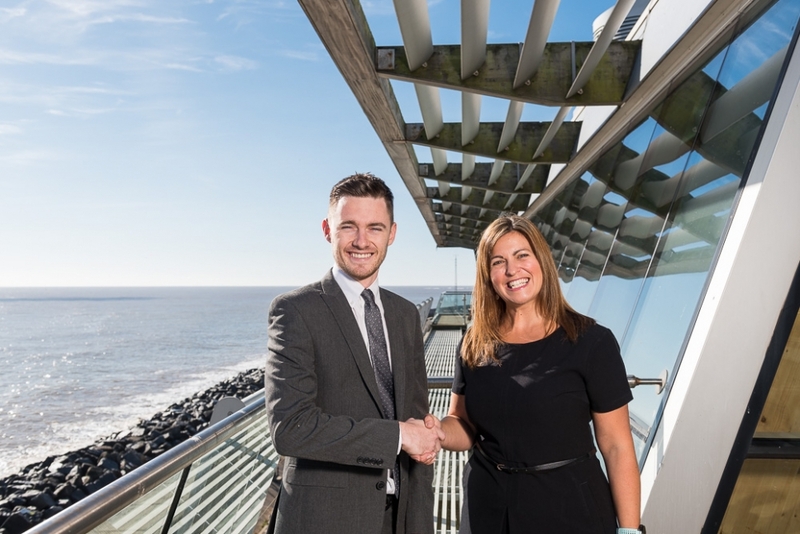 A recent assignment for Furthermore Marketing saw me heading to Lowestoft to produce some press release photography for two local companies Orbis Energy and Proserv. 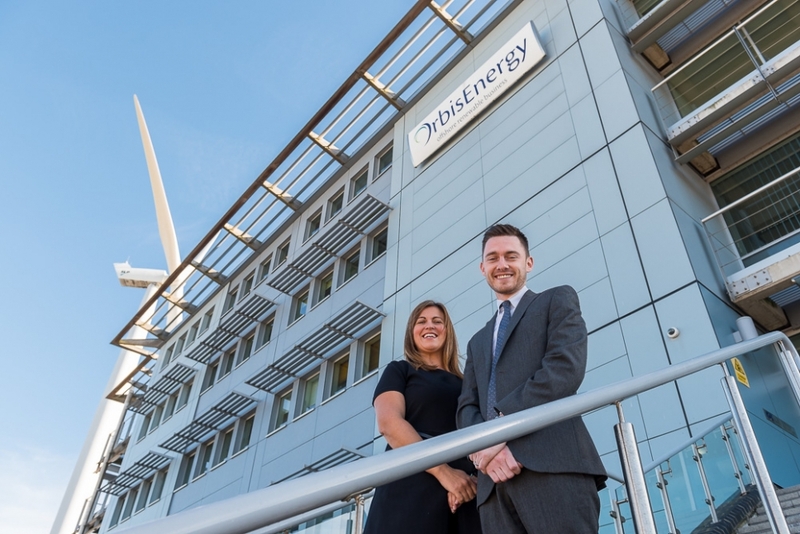 Orbis Energy’s huge sea facing building acts as a Hub for offshore renewables related companies and they’ve recently welcomed Proserv to their building. Proserv serve the offshore renewables industry with multiple services. My brief was to produce images for a press release marking the move of Proserv into the Orbis Energy building with representatives present from both companies. 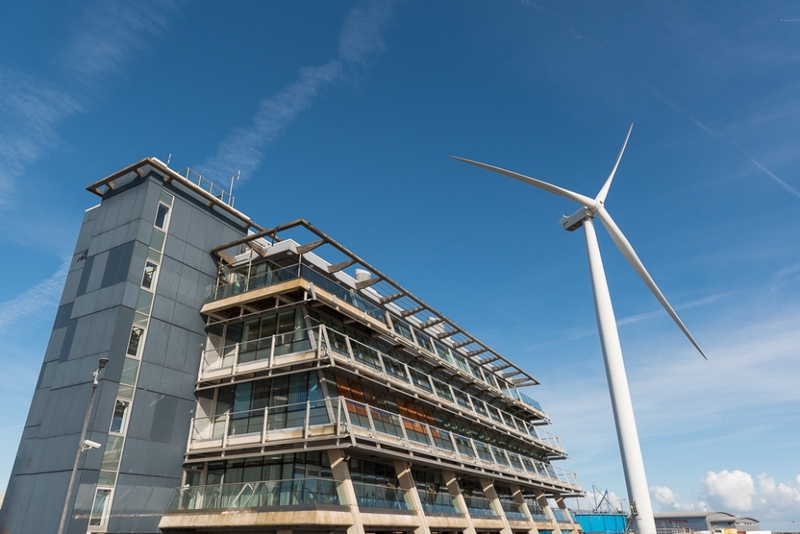 With a back drop such as the modern and dramatic Orbis building and its accompanying wind turbine I knew on a sunny day with a blue sky that I’d be looking for outdoor images utilising the two landmarks to place the image geographically in the mind of the reader. Effectively incorporating these landmarks is easy advertising as the local reader would instantly know the location of the businesses and to others the impressive backdrop speaks volumes about renewable energy which is at the heart of both business operations and modernity in the shape of a modern architectural building. A quick scout around the site found two potential locations to produce images using the geographical backdrop which would later be utilised. Chatting to the Orbis staff yielded a further location in the form of a fourth floor open air balcony which on a calm day made another great location to show off the business’s geographical location beside the sea on the Lowestoft seafront and the modern lines and nature of the building. After finishing the Press Release shots I moved onto producing a few individual headshots for a couple of members of the Orbis team again utilising the exterior of the building. To produce the images I utilised equipment including collapsible reflectors, powerful battery driven flash units, sand bags, a light stand and light diffusing umbrella. If you need any Press Release Photography or natural headshot portrait photography for your business then please get in touch.